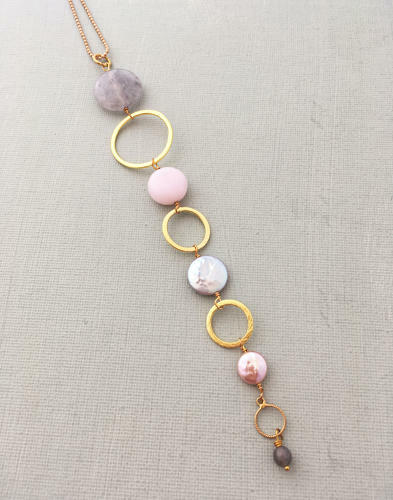 A gorgeous long pendant necklace in soft tones of blush and grey, Semi precious stones include: grey and pink quartz, freshwater coin pearls and labradorite, with gold plated cirlcles. Length of pendant 15cms, necklace 70cms. Designed and hand made in England.